Just in time for summer, the Third Street Writers group has released its first book of stories, poems and essays inspired by the season. 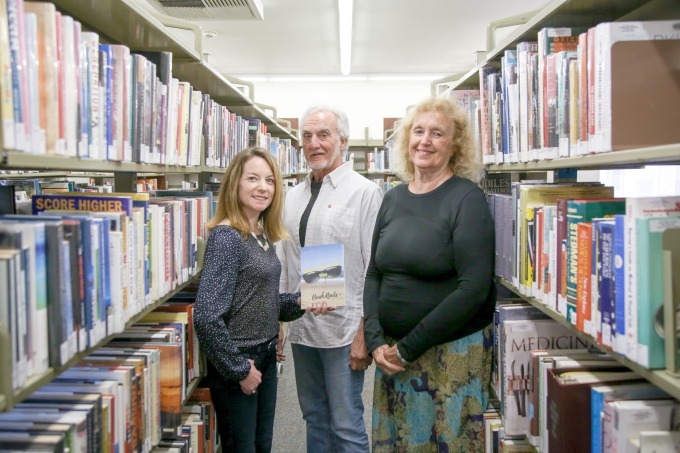 Founded in spring 2015, Third Street Writers brings together local wordsmiths for weekly workshops at the Laguna Beach library. During their meetings, members—of which there are roughly 25—read their work aloud and offer each other positive and constructive feedback. According to Amy Francis-Dechary, president of Third Street Writers, a few members of the group came up with the idea of compiling a book of their work during a workshop session in late 2016. “Along the way, we’ve decided to make this an annual anthology,” Francis-Dechary says. 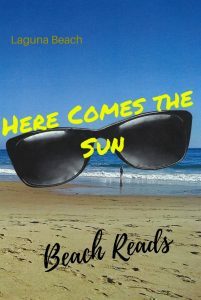 The first iteration of the book, “Beach Reads: Here Comes the Sun,” was released in April. 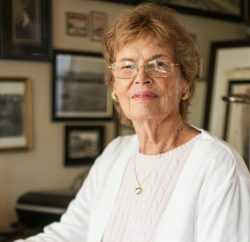 It includes the work of 30 authors, more than half of whom are Orange County residents. The book comprises mostly short fiction stories, but it also includes personal essays, creative nonfiction and poetry. 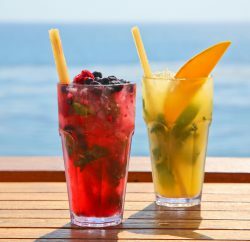 All of the pieces relate, in some way, to the theme of summertime. 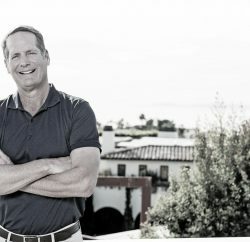 Here, we treat you to a literary teaser, with introductions from three of the book’s short stories which were written by locals and/or set in Laguna Beach. And, whether you’re curious about the stories’ endings or our local writing community, or just interested in perusing some captivating reads this season, you’ll want to pick up a copy of the publication for yourself. The book is available for $12.99 on the group’s website, thirdstreetwriters.org, as well as at Laguna Beach Books and the World Newsstand. Chad Bingham commands the Main Beach lifeguard tower in red trunks and a straw hat. I can’t see his eyes behind his binoculars, but I know they are as blue as the Pacific. All summer, Lexi and I have sat close enough to the tower to watch him without looking like we’re looking. Now, summer’s over. School started two weeks ago, and except for an old dude with a metal detector, the beach is mostly empty. It’s hard to be discrete. Lexi’s a nervous wreck. SAT prep. “If we move, we can’t see him.” I adjust my hot pink bikini, which complements my fading tan. The fall quarter starts at UCLA on Monday, and Chad is leaving. I feel short of breath. “If I jumped in, do you think he’d save me?” I ask. “What do you mean ‘save you’?” Lexi doesn’t look up from her calculus textbook. Chad’s lips, white with zinc oxide, resemble a powdered sugar donut waiting to be tasted. “I bet he’d do mouth-to-mouth,” I say. Even my baby sister Sarah, barely three years old at the time, pulled up her covers neatly. Yes, those were good years . . . But Dad died after the sun went down one gorgeous beach day. We thought no one would ever be able to replace him—until my sister Laura married Jeremy years later. After we got to know Jeremy, we began to think that he was a reincarnation of Dad. He had the same silent laugh—shoulders shaking up and down, mouth open in a wide grin—but no sound coming out. Jeremy did something else we couldn’t believe. He would wiggle his ears! Dad had always wiggled his ears when we cried, and we would forget why we were crying. Mama used to say that Laura’s marriage to Jeremy was a marriage made in Heaven. When Laura’s baby was old enough to take to the ocean, we all went to the beach that had been Dad’s favorite. But we weren’t prepared for what happened right before we left. The phone rang at our house at 6:30 am. Last night we had a rare occurrence: the arrival of Southern California rain. I woke up this morning to a cool breeze that feels clean and fresh. It’s still a little overcast, but the air is very inviting. So, I decide it’s a good morning to go for a walk. Not having been to a gym since mine closed eight months ago, it’s about the only exercise I get lately. I throw on my cargo shorts, the ones with all the pockets, a black T-shirt with a mug shot of Johnny Cash on the front, and my hiking boots replete with mandatory orthotics. After filling a water bottle, I grab my sunglasses, my Laguna Canyon ball cap, and head out for the trail. It’s only about two blocks from my house to the wilderness area. As I approach the trailhead, I see a tour bus parked by the gate. This irritates me. Now they’re bringing in people to trample through our nature preserve? Aren’t the beaches enough? I set out with the ocean breeze at my back and a fine mist in my face, perfect hiking weather. On my right are the sandbags, placed on the trail months ago to divert the rains from El Niño, now lying in a semicircle, looking like a big smile laughing at me, saying, “Really? How did that work out?” The rains never came.